Let's face it, most vintage Christmas songs are as white as the wind-driven snow. It's one smiling Caucasian after another singing about silver bells, opening presents, decorating the tree, etc. Sure, there's Nat King Cole, but "The Christmas Song" came out in 1946! I'm talking about afrocentric holiday tracks from the 1970's - when Christmas was full of soul and booger-nosed funk. As much as I like Perry Como and Andy Williams, you will not see them in this post. First up is "Purple Snowflakes" by Marvin Gaye, an incredible example of a holiday song with a soulful vibe AND a psychedelic twist..... but then, Marvin was the master. He could sing his grocery list and it would give me chills. I think this song needs to be more recognized than it is. It really is amazing. Pssssst! 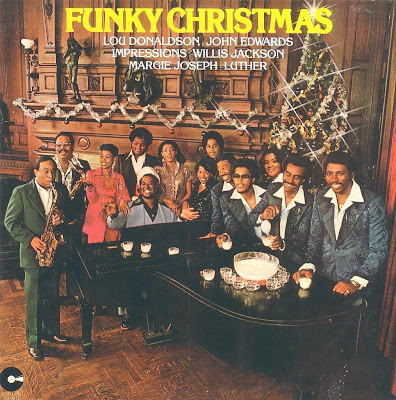 If you want to hear some more soulful Christmas songs, read on! 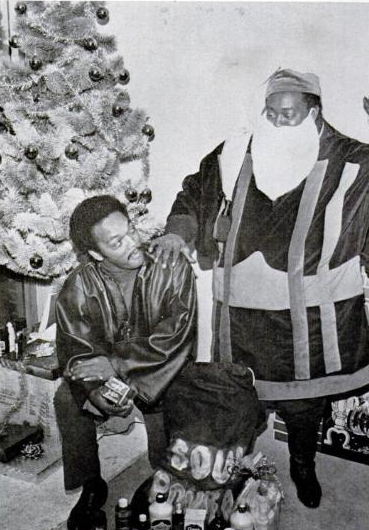 Yes, that's Jesse Jackson and St. Nick in the image above. Something tells me they're not about to break into a duet of "White Christmas". Next up, is the Godfather of Soul, James Brown, singing "Santa Claus Go Straight to the Ghetto" (1968). Here's a couple great Christmas album covers. And by "great" I mean freaking awful. 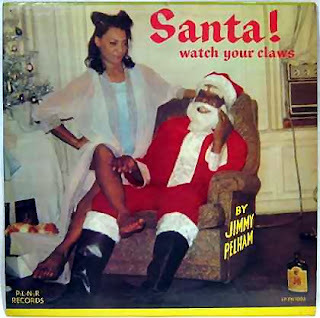 Santa Claus Is a Black Man was brought to light by the Grandmaster of Kitsch, John Waters. 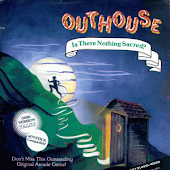 Teddy Vann sued Waters for the use of this record in one of his films, but I have no idea how that turned out. Here's the title song.... be warned, this is sung by the kid and it is straight up awful. 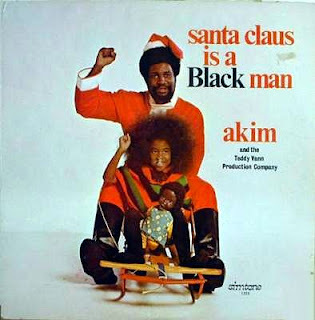 As for whether Santa is black, I don't know. I'd always heard he was half Puerto Rican, half Jewish like Geraldo Rivera. The Santa pictured below certainly is black, but doesn't look at all jolly. In fact, he looks a little on the depressed side. He also appears to be hovering in midair. This next one by the Soulful Strings is one of my favorite takes on the classic "Sleigh Ride". I'm not real sure whether the Soulful Strings were actually black. 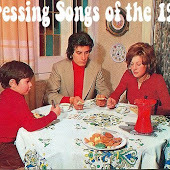 All their album covers were heavy on the cheesecake and featured some lovely models rather than pictures of the band. By the way, the guy that recorded Santa Claus Was a Black Man (above) also wrote hits for Luther Vandross (below, at piano). Well, that's all for now. Tito and his brothers wish you a very Merry Christmas! 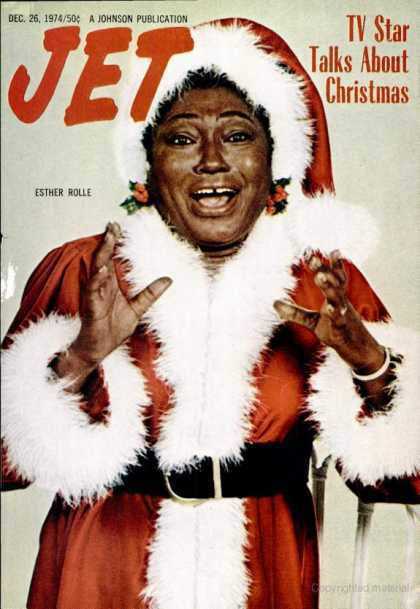 Love the Esther Rolle cover! But that pic with Jesse Jackson - what the hell is up with that Santa's outfit? They had what? $1.00 for a costume budget I guess? "As for whether Santa is black, I don't know. 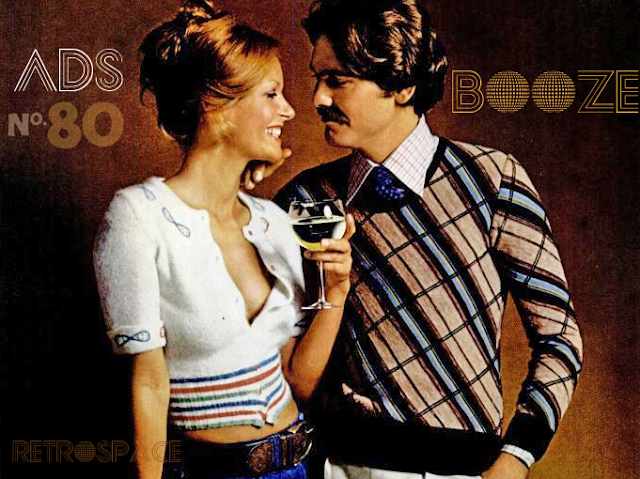 I'd always heard he was half Puerto Rican, half Jewish like Geraldo Rivera." And, of course, Juan Epstein. 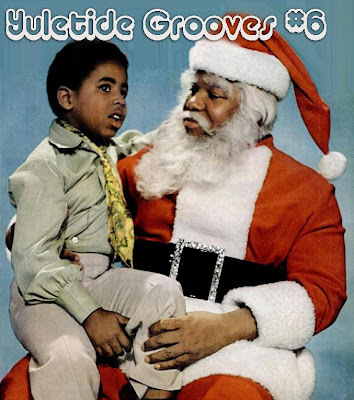 Click here if you want to see proof that Santa is black. This vintage photo shows Santa holding a product his elves made for a child on the "nice" list - a cabbage patch doll. Look how jolly he is, just don't cross him. 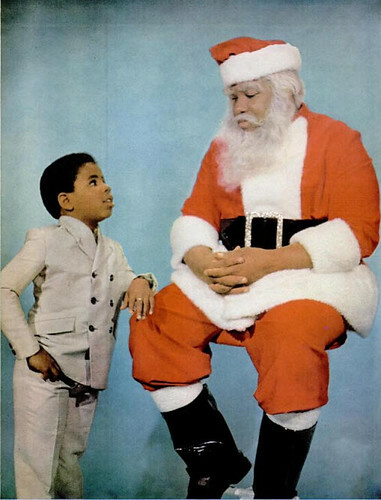 Speaking of blacktastic Xmas songs, I highly suggest "Be-bop Santa" by Babs Gonzales. 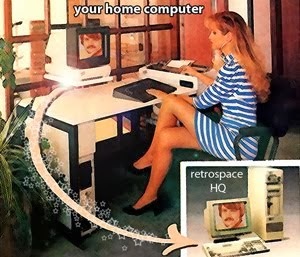 It's fanTAStic. Santa wears a white mink tie and the kids have visions of Cadillacs in their heads. 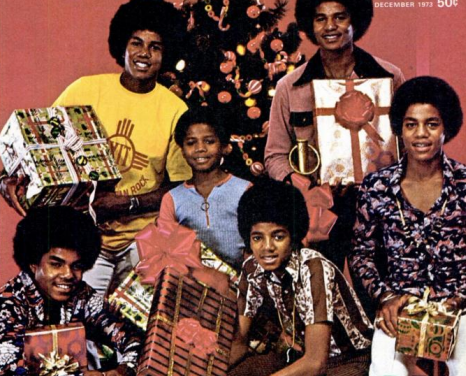 I think it's interesting that the Jackson 5 recorded Christmas songs since they were raised Jehovahs Witnesses and most likely did not celebrate Christmas. How about Bill Cosby and his Christmas song "Merry Christmas, Mama"? It's very funky.